The year was 1977. Jimmy Carter was POTUS. French is Quebec’s official language. Seattle Slew wins the Triple Crown. Elvis dies. It snowed in Miami on January 19. And in June, Advanced Data Systems came into being. Over the decades, we’ve all seen a lot...at least hundreds of updates and adherences to governmentally required changes (a deadline has never been missed), newly developed features in our original Medics I and II systems with evolvements into our MedicsPremier and MedicsElite systems, then a more full-blown version of MedicsRIS for radiology, and of course, the development and implementation of the MedicsDocAssistant EHR, and then MedicsCloud. 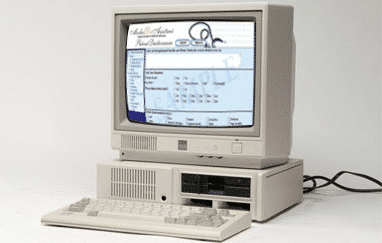 MedicsRCM was then created by Advanced Data Systems RCM. It’s been an epic forty years, and today, tens of thousands of physicians and system operators - and hundreds of RCM companies - rely on solutions from ADS to process almost 50 million EDI transactions annually. Our clients rely not only on our systems, but on us for timely implementations, comprehensive training, and excellent ongoing support with updates. We remain an independent, privately owned, debt-free company, and we look forward to continuing our story with you for decades to come! 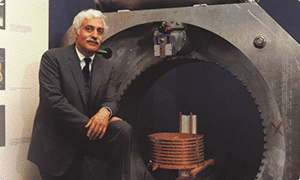 The radiology practice at which Raymond Dimadian MD (pictured) invented the MRI, implements MEDICS I as their first practice management system. That single practice evolved into Health Management Corporation of America (HMCA, a division of FONAR) which today manages 25 radiology centers. HMCA is still an ADS client now using MedicsRIS! 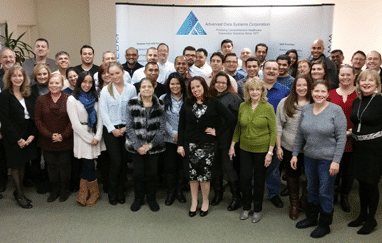 Company now has 500 clients and staff moves into ADS’ first office. ADS clients have been submitting electronic claims via modem revolutionizing the way in which payers receive claims. 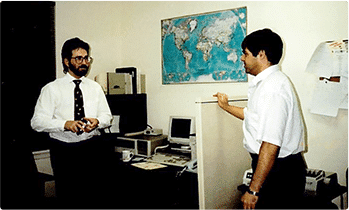 ADS becomes an IBM Business Partner, now providing IBM computers in place of Digital Equipment Corporation (DEC) computers. 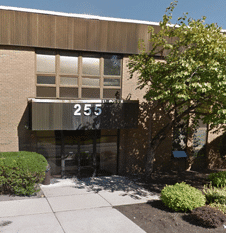 The company moves from its small office to a much larger office space, now with more than 65 employees and over 1,000 clients. ADS develops and releases its new MedicsElite system as a graphical user interface (GUI) product with color, mouse, graphics, etc. ADS develops and releases MedicsPremier as a graphical version of Medics II for clients wanting to have color displays and mouse functionality. ADS clients (now approaching 1500) begin to adopt MedicsPremier in large numbers with new clients implementing it as well. ADS does a very limited beta version release of the MedicsDocAssistant EMR. ADS releases V4 of its MedicsDocAssistant EHR which is now in full production and went from being an EMR to an EHR. MedicsRIS debuts as a radiology-specific system with new features designed for radiology. 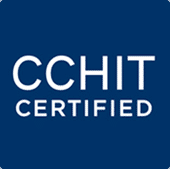 ADS’ MedicsDocAssistant EHR obtains CCHIT certification; the first year certifications were available for EHRs. Now in its 30th year, ADS hits the 2500 client mark. The Medics Suite of PMs, EHR and RIS all obtain major updates on “look” and functionality. The MedicsPremier PM and MedicsDocAssistant EHR are configured and tested in cloud. Well over 500 practices are now “in the cloud” since MedicsPremier and MedicsDocAssistant became cloud-enabled. 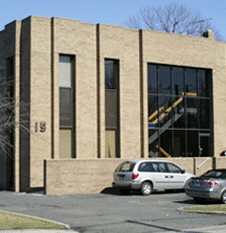 The company moves from its larger office space to the 15,000 square foot ADS Building, now with more than 200 employees. Cloud quickly becoming the preferred implementation option by ADS clients. ADS has its Medics software ready for ICD-10’s first deadline date in October. The Medics ICD-9 to ICD-10 code converter is to be deployed well in advance of the deadline. ADS clients have been ready for ICD-10. ADS clients have attested to Stage 1 and Stage 2 MU with their Medics EHRs. The Medics ICD-10 code converter is updated with even greater capabilities for selecting the correct code, and with Google-like code searching functionality. Medics is certified as a complete EHR for Stage 2 Meaningful Use by ICSA Labs. The Medics EHR is enabled to handle MACRA / MIPS / APM data mining. MACRA dashboards are provided for tracking MIPS / APM data. EMRdirect™ by ADS is used by radiology practices to send their finalized reports to referring physicians’ Stage 2 certified EHRs via without expensive HL7 interfaces. thousands of physicians and system users! Start improving efficiency and generating more revenue. Find out how today.